Daniel P. Herlihy passed away on Wednesday, November 28, 2018 at the age of 72. He was the husband of the late Linda Herlihy, father of Pat (Julie), Shannon (Andy) Oleferchik and grandfather of Riley and Jaimie. He was predeceased by his parents Norman and Dorothy. He will be missed by his sister Kathleen, brothers Terry, Larry, Jim and David along with many cousins, nieces and nephews. Dan was a Vietnam Army Veteran and a hard-working member of the Cement Masons Union until he retired. During his retired years he loved spending his days up in Northern Wisconsin on the lake fishing with his friends and his pets. 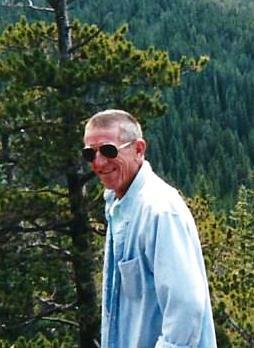 Dan was a long-time member of the “Wanderers” AA Group with many proud years of success and inspiration for others. Over the past year he was a resident of The Fountains in Crystal Lake, where he will be missed by many of the staff and residents. He will also be missed by his long-time neighbors of Schaumburg and his best friend of 30 years Norm Reuter. Celebration of life is being held on Saturday, December 29th with an open house from 1-5 (formal celebration of life at 2:00) at the Thunder Bay Grille 7652 Potawatomi Trail, Rockford IL 61107. For more information, please call his daughter Shannon at 847-338-5528.